What can be said about Ian Fraser Kilmister, aka Lemmy, that hasn't already been said? An icon, a legend, a symbol, the incarnation of Rock 'n' Roll damnation, in his words, simply an anarchist who never took any lip or bowed to anybody and actually never accepted to be relegated to a specific anthropological species – not a Metal guy nor a Punk, not a touchy Rockstar nor an enigmatic poet. His humbleness, his simplicity and his irony made him even more charismatic, or at least funnier, than any of his seasoned colleagues. Fun is also the intended feeling this differently arranged tribute album was conceived with. I mean different because among the various interpretations of everlasting classics you will find 'Overkill' (ironically and magisterially interpreted in a fierce live format by none other than Metal titans Overkill), 'Bomber' (one of the best revisions I've ever heard, thanks to Bristol Thrashers Onslaught), and 'Ace O Spades' where always devoted Ugly Kid Joe joined forces with Phil Campbell in order to celebrate the greatest manifesto of Rock 'n' Roll. 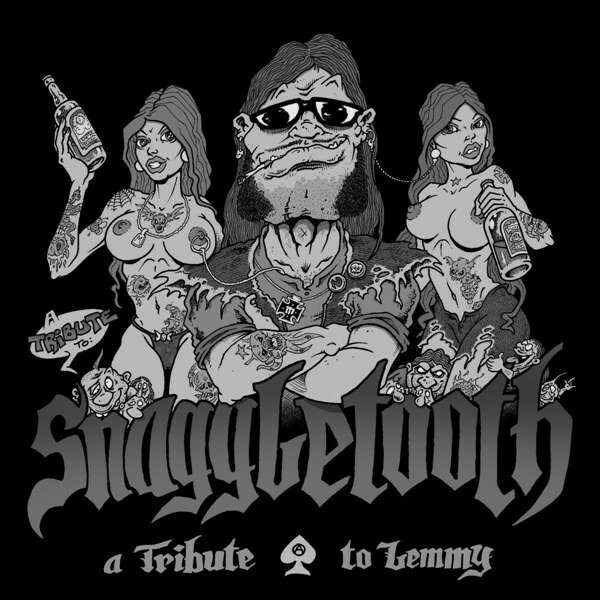 Also available on this tribute collection is Lemmy himself in the throes of Queen's 'Tie Your Mother Down', his touching duet 'Love Me Forever' with all-time friend Doro Pesch and, above all, what I consider the highlight of this otherwise predictable collection, the futuristic and decadent 'Rock City Night'. This is a song that goes back to the solo project of guitarist Richard Kruspe (Rammstein) called Emigrate, an amazing and mesmerizing Pop/Punk banger right in between Motörhead and Depeche Mode that demonstrates how this man was musically open-minded and always available for any kind of collaboration. At the same time, on the other side, musicians and fans of any genre or sub-genre, belonging or carrying the flag of this or that niche, young and old have paid their tribute and shared some love with his legacy. That's why Finnish Folk Metal band Korpiklaani and Stoner Rockers Monster Magnet, though clearly distant miles away one from the other, could respectively manage 'Iron First' and 'Brainstorm' (belonging to the Hawkwind repertoire) with such a heartfelt participation. So, fellows, what are you waiting for?! Just take this lovely, dirty and mean round piece of plastic and shove it up between your loud speakers... and don't forget the joker! NEVER!